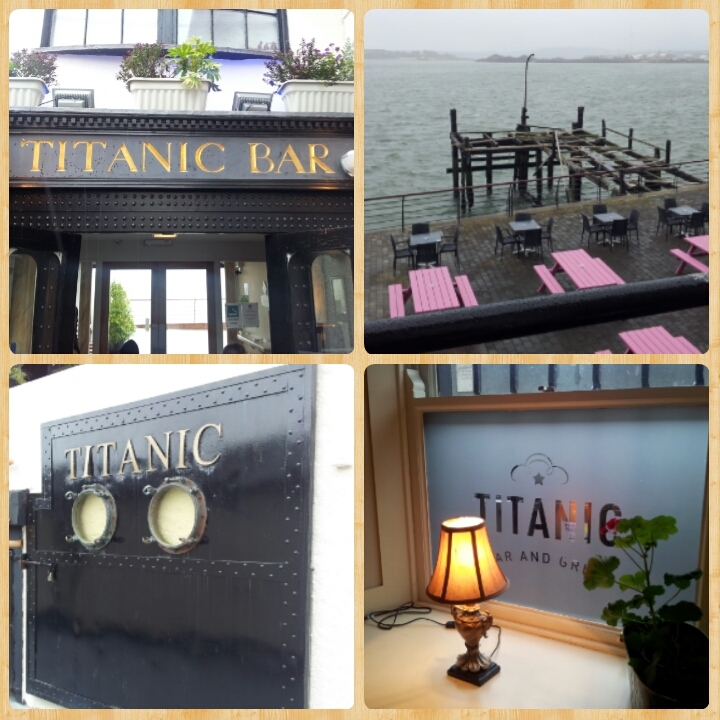 CherrySue, Doin' the Do: Our Cork Adventure - Cobh & The World Famous Titanic Experience! Our Cork Adventure - Cobh & The World Famous Titanic Experience! Welcome back to our Cork Adventure, if you haven’t seen where we’ve been so far, catch up here. We're big fans of the staycation and firm believers that a holiday on home soil can hold it's own against any other destination, once you have insider travel tips to get the best of our Emerald Isle. For our Cork adventure we were ideally based in Clonakilty, staying in a 6 bedroom Clona Holiday Homes rental in Clogheen Village, find out more about them here. 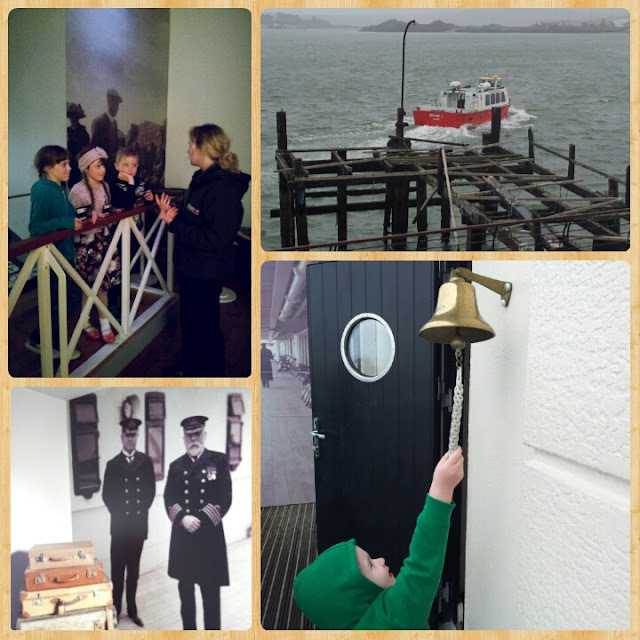 I fell in love with the pretty town of Cobh way back when we visited Fota Wildlife Park when I was a little girl, so we decided to dedicate one of our days to Cobh which was only an hour away from our holiday home. Cobh is a beautiful Victorian seaport town & the home to Ireland’s only dedicated cruise terminal. Some 2.5 million people left Ireland for pastures new in North America via Cobh (formerly Queenstown) from 1848 - 1950. These emigrants included Annie Moore & her two little brothers, they were the first immigrants to be processed on Ellis Island in 1892. There is a beautiful statue dedicated to them outside the Cobh Heritage Centre at the end of town. Queenstown is where 123 people boarded a tender to bring them out to Titanic as the ship was too big to enter Cobh harbour. 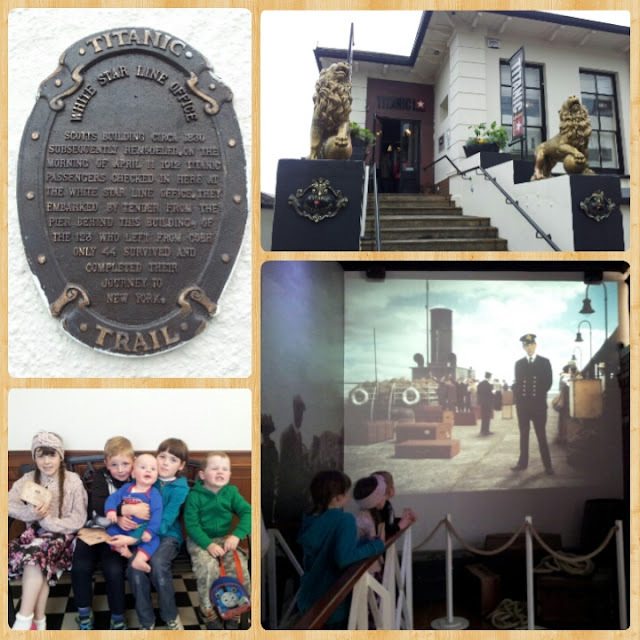 We learned all about these people & the Titanic when we visited The Titanic Experience Cobh. Tickets are priced at €24 for a family of 2 adults & up to 4 children, under 4’s are free. Tours are every 15 minutes from 9am-5:15pm. Paid on street parking is available throughout the town. The Titanic Experience is housed in the old White Star Line ticket office, so you are actually walking in the footsteps of the people who boarded Titanic from here back in 1912. 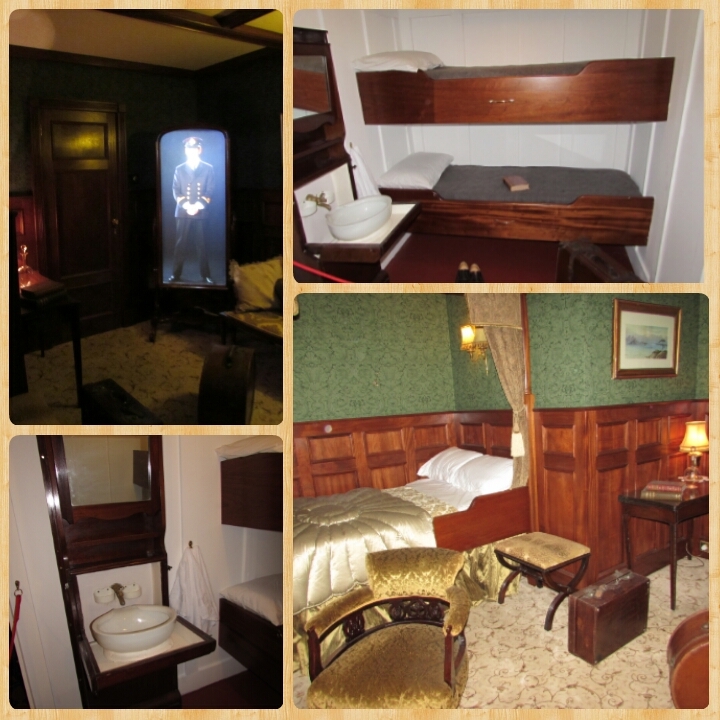 I am a self confessed Titanic nut, we actually have a Titanic room in our house (!) & have been to exhibitions in Dublin, Belfast & Vegas but the history associated with the Cobh Experience resonated with me as did the Belfast Museum. They did a superb job restoring the building to make it the state of the art, interactive museum it is today. As we went off peak we were lucky enough to have a private family tour. Our tour guide was fantastic; she went above & beyond to include the children at all times. At the ticket desk you are each given a replica boarding pass that was issued in 1912 with the name of one of the 123 passengers that boarded Titanic in Queenstown. As you board the ship you are welcomed aboard by none other than Captain Smith himself. This multi media exhibit is very interesting for young & old alike. We exited the back of the building & got to view what remains of Heartbreak Pier, the very pier the passengers departed from on April 11th 1912. Our children found it fascinating that very little has changed to the exterior of the building in over 100 years as they viewed the photos taken of the balcony they were standing on. Back indoors where you are taken through replicas of a common area in third class, you also get to view a third class cabin & a first class stateroom. The interactive full length mirror in the stateroom is particularly class! To conclude the guided part of the tour you are shown into a seating area which is shaped like a lifeboat, here you see the tragic sinking of the Titanic on the large screen. 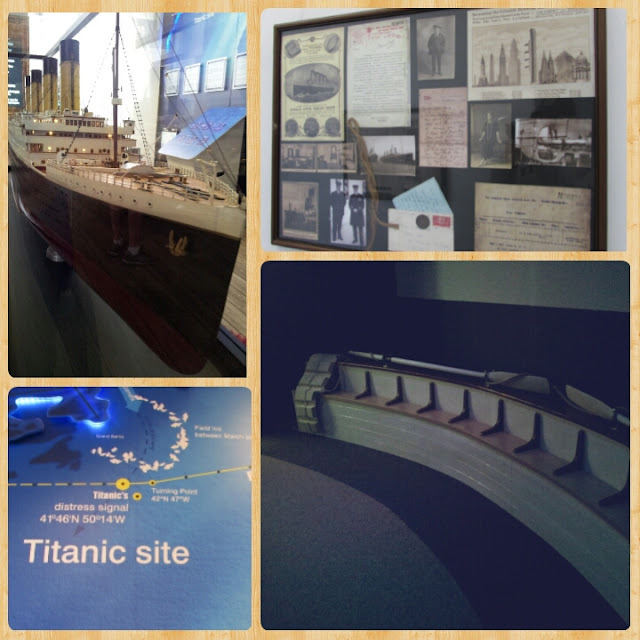 The guided part of the tour takes roughly 30 minutes, and then you are free to explore the audio visual rooms, including a scale model of Titanic. There’s a wealth of information in these rooms, such as the role RMS Carpathia played in the rescue of the survivors, details of the inquiries held & the discovery of the wreck in 1985 by Dr Robert Ballard. Lots of artifacts are on display from both RMS Carpathia & the White Star Line fleet. Our little ones thought it was really amazing that you could search on the interactive screens for the person named on your ticket to find out if they survived the sinking and, if they did, what they went on to do with their lives. The gift shop is packed with lovely gifts & trinkets all at reasonable prices, so I simply had to add to my collection. The Titanic Bar and Grill is also housed in the same building but the entrance is just next door. It’s the perfect place for a bite to eat & a cold drink, if the weather is nice they have a huge decked area out the back where you can sit overlooking the pier & Cobh harbour. I highly recommend the Irish Sirloin Steak with pepper sauce & chunky chips, my husband opted for the Titanic Double Burger & he wasn’t disappointed, while our children devoured Paninis & hand cut chips. With our bellies full we took a stroll around Cobh & down to the Titanic memorial garden. Some might think it’s a depressing thing to do with children but it really wasn’t, they learned lots & enjoyed it. They were chock full of facts & figures when Titanic came up on their school curriculum the following month. And isn't that what family travel and broadening their little horizons is all about? Next time we visit Cobh top of our list is the ferry out to Spike Island & a guided tour of the Island. Have you been to the Titanic Experience in Cobh or Cobh town? Are there any other gems we missed? How to Make DIY Peppermint Sugar Lip Scrub! Knock Knock - New Keanu! Our Cork Adventure ~ The Model Railway Village! How to Wash & Dry Your Makeup Brushes in Minutes! 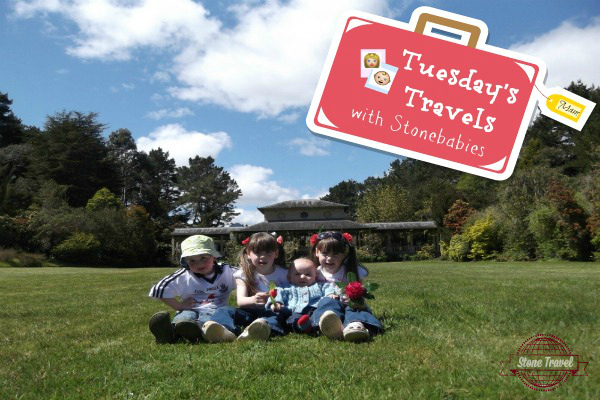 Stone Family Travel ~ Our Cork Adventure! The Ace Hotel, Shoreditch ~ Review!